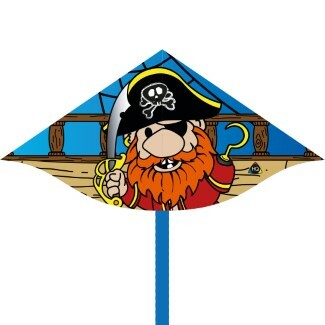 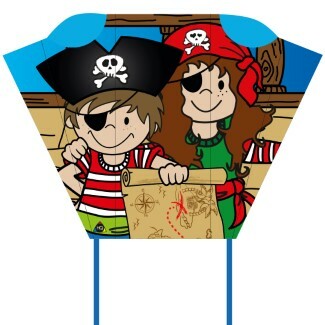 PIRATE SLEDDY "JIMMY & JENNY"
Our new pirate series "The Adventures of Jimmy & Jenny" provide the framework for our range of fun pirate children kites. 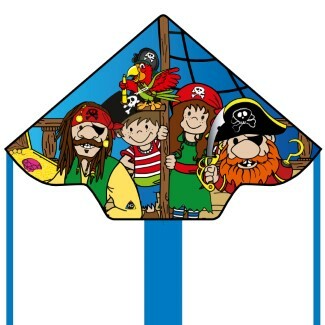 Jimmy, Jenny, and CoCo are featured on this kite and are the main characters in the story. 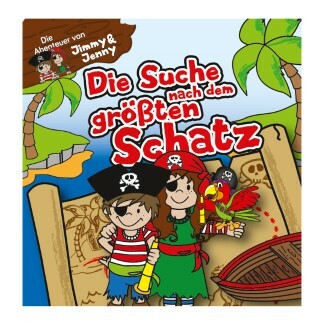 In addition to the kites, a richly illustrated pirate picture book is available describing an amusing pirate story for children: "The Adventures of Jimmy & Jenny - The search for the greatest treasure." 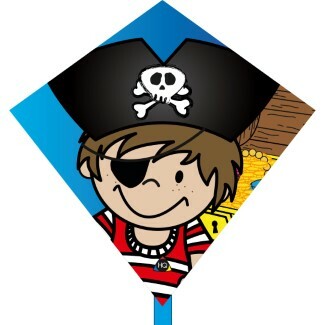 PIRATE PICTURE BOOK: SEARCH FOR THE GREATEST TREASURE! 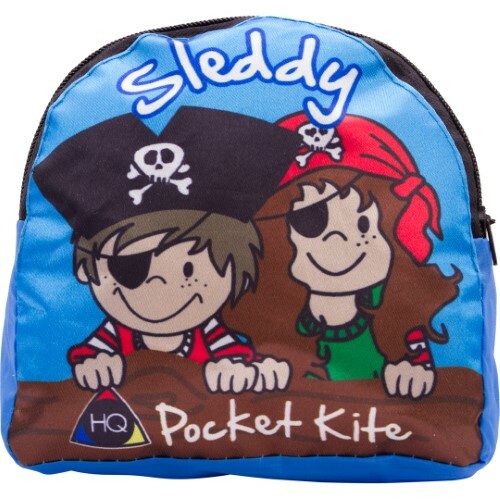 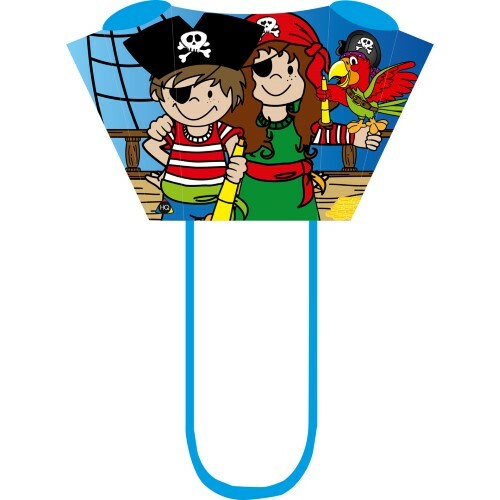 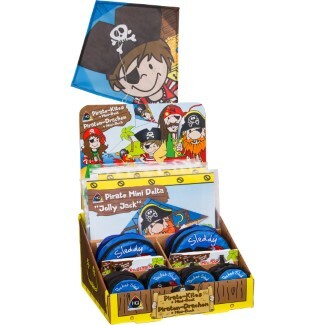 PIRATE POCKET SLED "JIMMY & JENNY"
PIRATE SIMPLE FLYER "PIRATE CREW"